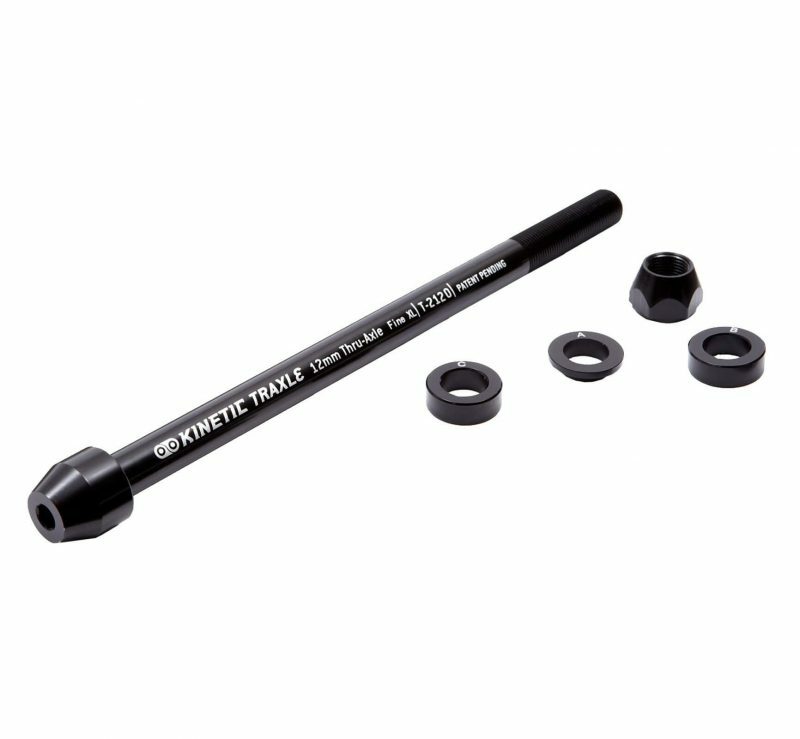 If your bike has a 12 mm rear thru axle, you’ll need a Kinetic Traxle Thru-Axle to use your Kinetic trainer. The Traxle is a precision-machined replacement thru-axle with tapered heads that stand out far enough from the bike frame to perfectly fit trainer cone cups. They adapt any 12 mm thru-axle system to firmly lock your bike into a trainer. If you are not sure which Traxle you need, please contact us and we would be happy to help.